Even though we provide a comprehensive, multi-leveled school-wide discipline system that backs up teachers in their efforts to manage student behavior, some teachers, especially new teachers, struggle with student discipline. Inexperienced classroom managers have no problem posting and discussing lists of rules and consequences. Typically, though, they have trouble issuing consequences early and consistently. 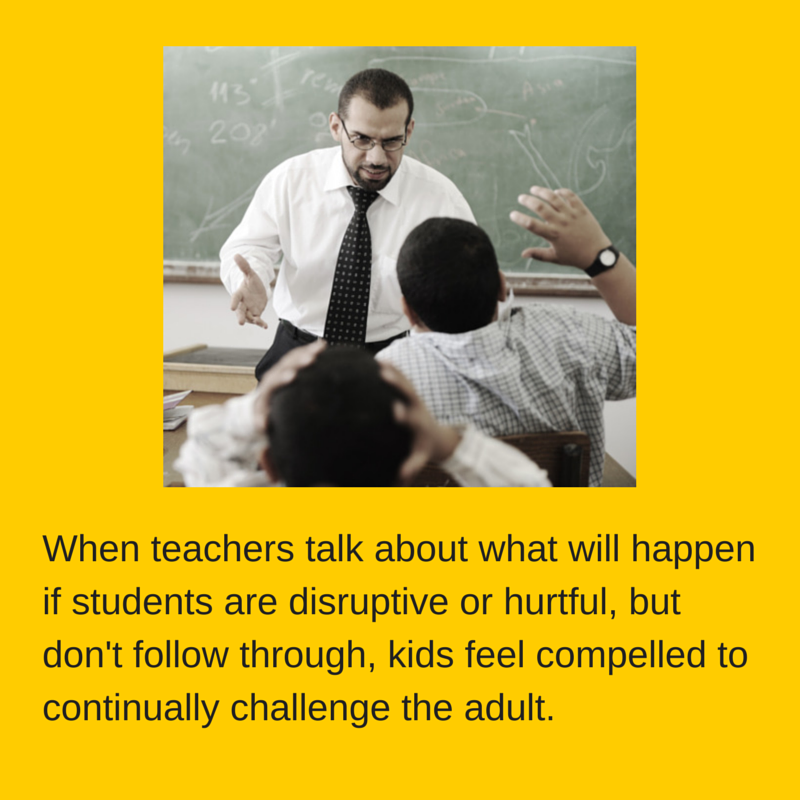 When teachers talk about what will happen if students are disruptive or hurtful, but don't follow through, kids feel compelled to continually challenge the adult. Soon, the classroom is incapacitated by goofy, unnecessary, sometimes hostile student behavior and reactionary, hopeless, sometimes hostile adult behavior. One tool an administrator can use to explore a teacher's approach to discipline is to flag an office referral on which a teacher has written in two-inch high, angry-looking letters with editorial additions such as, "I'm sick of her disrespect" or "I had to tell him a million times to be quiet!" We know that if a teacher is implementing our system, there is absolutely no need to become frustrated or angry with student misbehavior. As Fred Jones writes, "Upset is out of control." 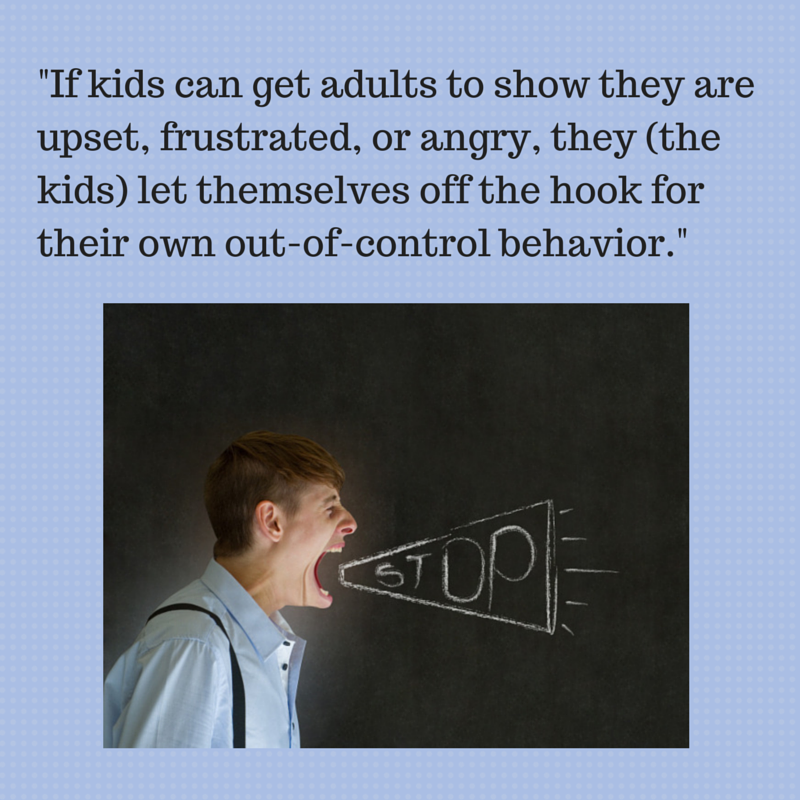 If kids can get adults to show they are upset, frustrated, or angry, they (the kids) let themselves off the hook for their own out-of-control behavior. If the adult consistently shows that student behavior never ruffles their emotions in the least, then the kids have to own their own behavior. My assistant asks the teacher who expressed frustration on the office referral to meet with her. She has the teacher look at the referral with her and says, "It looks like you were really frustrated when you wrote this referral." After listening to the teacher's account of the incident, the administrator says, "I understand why you were frustrated. It's hard to keep kids from pushing our buttons. But that's the beauty of our system. The system takes care of the kid. The consequences convince him of his limits, and he'll either come around or he won't, but we don't have to own his behavior. We just have to be the referee - 'Oops. You're out of bounds.' Even if he talks back or disrespects you, don't take it personally. It's his issue. Just think of yourself as a referee - 'You're out of bounds. Here's the consequence.'" It is not uncommon for the administrator to discover that the teacher has failed to issue the milder consequences for the earlier, gateway behaviors. She may have reminded and nagged but not followed through with the warning, phone call, and detention. Or, she may have issued the consequences but added angry lecturing or denigrating remarks to the procedure. If this is the case, the administrator reminds the teacher that our standard for the building that it is never okay to hurtful applies to adults as well as to children. We have to be the grownups, and we have to model self-control and professionalism, no matter what. My assistant principal listens for how the teacher implemented our system of rules and consequences. She may discover that the teacher had tried to avoid making the parent phone call that our implementation requires. The teacher may be intimidated by the parent or fear she will get flustered trying to explain that the child talked too much in class or refused to work. "I'll Do It With You"
If a teacher avoids the steps of the system because of fear or lack of expertise, my assistant principal will offer to be with her and help her. She will tell a struggling teacher, "Just come up to my office when you have to make a call. I'll do it with you. It's no big deal. You can do that until you're comfortable. I've got your back." We ask teachers to put kids on our "Do Not Admit" list for the second time they fail to turn in completed homework. This means the student cannot come back to school the next day without their parent. We want the teacher to have a short face-to-face conversation with the parent, in front of the student, about their homework policy, what the homework is, when it is due, and what this particular child has or has not done. Most parents admire our commitment to make their kids succeed with their school work. Some, however, become angry with the inconvenience of the "Do Not Admit." My assistant principal just tells teachers to let her know if they expect an angry parent, and she will meet the parent with the teacher so that the conversation goes well. My assistant principal is very protective of our teachers and will not allow a parent to harangue them, especially without cause. If the teacher seems to be in denial about his contribution to the problem, we need to calibrate our expectations about what behavior is and is not acceptable and to describe problematic behaviors we have seen in his classroom or have received complaints about. We want the teacher to understand how unfair it is to kids to tell them you will handle the classroom and then not do it. We express our very real concern that effective teaching and learning cannot occur in the classroom if the teacher has not established his leadership and authority. We assure the teacher that we can and will help. My assistant principal sets a time to address each of the teacher's offending classes using a Classroom Meeting and a Class Contract. Of course, if the teacher does not change what he does in order to become more consistent implementing the system, the classroom won't stay orderly for long. We hold conferences with a teacher who cannot make improvements in the area of classroom management. I am very direct in letting the teacher know that this is a deal-breaker for me. If a new teacher cannot make improvement in the area of classroom management with all the help we give, and if his classroom stays chaotic and unproductive through the end of the school year, I will not renew this teacher's contract. If he does show progress, I have to decide whether we can afford for him to serve another school year while he develops this competency or not. If the struggling teacher is tenured, we hold a conference and let him know that we want him to set a goal for this area of his practice and to write an action plan about how he intends to improve in this area. We notify him that we will formally evaluate him for this goal through the district's evaluation process over the coming year. If we do not see the improvement we need, we will put him on warning status with the intention of terminating him. We follow the due process in the negotiated agreement. It is educational malpractice to continue to enroll students with a teacher who has proven, for years, that he or she cannot manage a classroom. 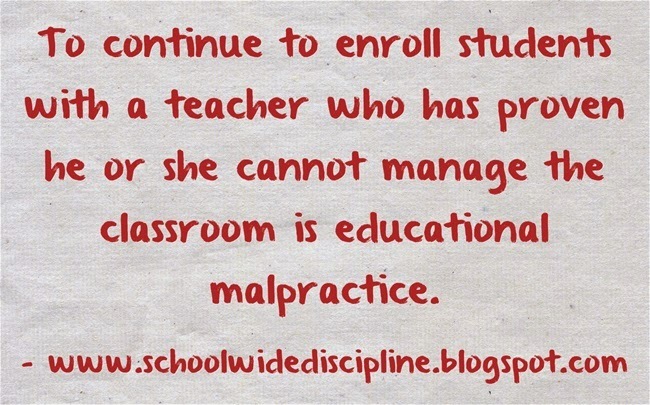 It is also educational malpractice for school leaders not to back up teachers with a system for student discipline. I’m all about discipline and order. Kids don’t run our school. Adults do. No one is allowed to disrupt the environment or hurt others without consequences. No one is allowed to inhibit other’s opportunity to learn by intimidating, bullying, or clowning. Neither kids nor personnel can opt out of performing their role in our instructional program and our behavior system. Our multi-leveled school-wide discipline system sees to that. But kids just wanna have fun. And so do teachers, aides, paras, secretaries, and administrators. Nothing unites the school family like regular, zany, competitive, heart-warming events during which adults and children enjoy one another, laugh, dance, sing, cheer, cry, and celebrate together. Every year we announce a new building-wide theme. Teachers decorate their hallway bulletin boards with illustrations and slogans related to our theme. They create costumes to wear on the first day of school. We have staff t-shirts printed with the year’s theme logo, and we plan end-of-the year field trips related to our theme. One year, our theme was There’s No Place Like School: Brains, Heart, Courage based on characters from The Wizard of Oz. Our campus officer, dressed from head to toe as the Mayor of Munchkin City. directed traffic in the parking lot on the first day of school. 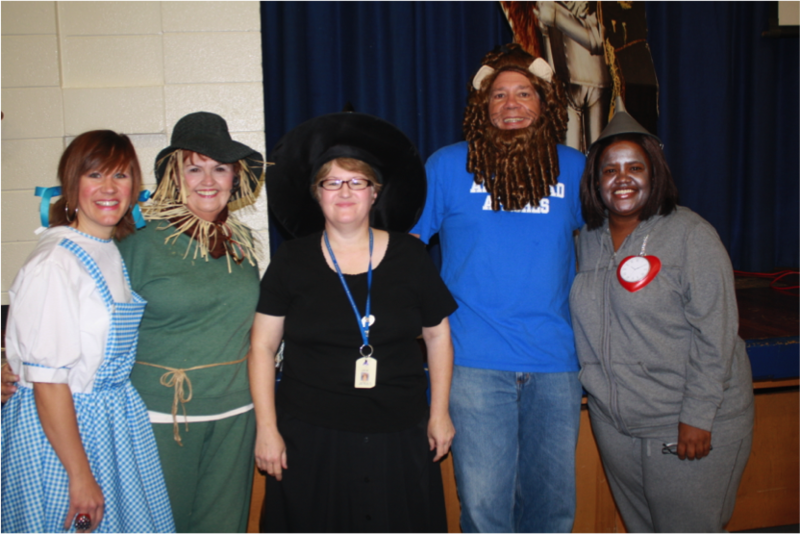 Inside, students and parents met Glynda the Good Witch (my assistant principal), Scarecrow and the Tin Woodman (secretaries), the Cowardly Lion, the Wicked Witch of the West, and Dorothy (teachers). We announced our reward field trip that year at a high-energy, all-school assembly. The grade level with the greatest average growth per student, won a day at the “Emerald City,” an arcade complete with go-carts, pool tables, pin-ball machines, and a pizza lunch. Every quarter, students who are performing with GPAs of 2.0 or higher, are rewarded with a two-hour assembly. High school bands and dance teams perform, kids compete in hilarious relay races, at least some members of our staff perform, and often professional musicians, dancers, or singers provide amazing entertainment. During these same assemblies, coaches introduce the season’s sports teams, and cheerleaders perform. Teachers read the name of each and every student and his or her GPA level: Bronze (2.0 to 2.9), Silver (3.0 to 3.5), Gold (3.6 to 3.9) or Platinum (4.0). One rally highlight was a step show that my teacher leader and a parent worked up. Several teachers volunteered to practice many days after school so they could be ready to surprise the kids with their performance. I love how our students just went crazy for their teachers when the adults broke out their step routine. Our kids like nothing better than to play their favorite sports against our teacher teams. Our school volleyball team competes against their teachers as soon as their season is over. So many teachers play that they can’t all get into the game. They dress crazy and engage in silly antics that thrill our kids. After basketball season, our boys’ and girls’ basketball teams play an exhibition game against our teachers. The kids love how physical their teachers become, and the students play like their lives depend upon winning. Since the adults always – ALWAYS – win, the kids strive to at least lead for as long as they can during the competition. 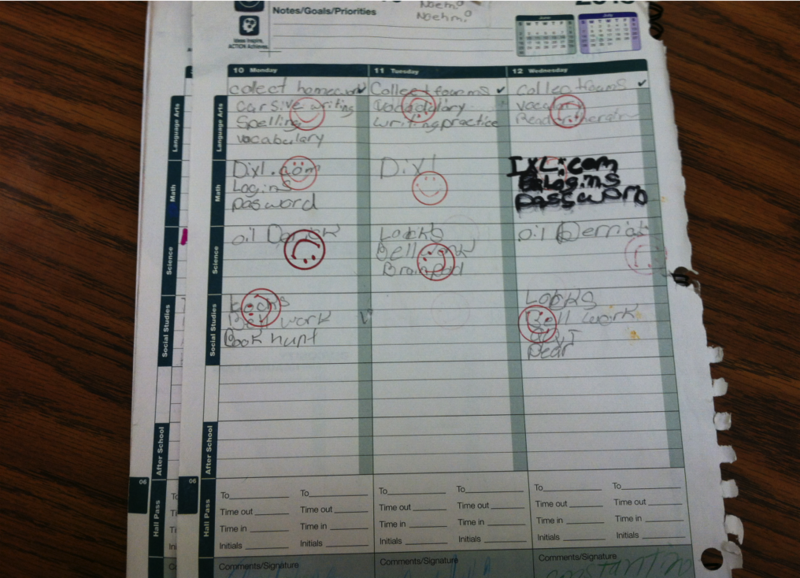 In an attempt to help our middle schoolers develop productive school habits, our teachers stamp agendas (student planners) when the children are prepared for class and have their homework. Every two weeks, we reward them with a small prize if they earn 90% of the possible stamps given during that time period. At the end of each quarter, those students who earned a stamps award for all four two-week time periods are invited to a party in the cafeteria. One party theme was Pancakes and Pajamas. Kids dressed in pj's, if they wanted to, played BINGO for prizes, and ate pancakes mixed and flipped by their teachers. Another party theme was our 50's Sock Hop. We served ice cream floats, learned the Hand Jive and the Twist, and played a very popular game of Limbo (with 125 students)! We threw a Peace Out 60's Party as well. Kids took pictures in love beads and giant glasses, made tie-dye coffee filters, and ate PopTarts and Tang (both invented in the 1960s). If our students enjoy school and bond with their peers and teachers, they are more likely to learn and be successful. We want our students to love their middle school experience, so we create fun for them and find joy in our work as well. When schools employ armed policemen to manage their hallways, and when desperate teachers call law enforcement to discipline disrespectful students, the first question we have to ask is, “How did these schools get into this condition in the first place?” What false starts, historic developments, or current issues result in a building's becoming a contributor to the school-to-prison pipeline. One thing I have learned from decades of working with chronically misbehaving students is that behavior always speaks. Young people’s behavior always carries a message, and that message is almost always meant for the adults who should be leading them, protecting them, sacrificing for them, and demonstrating commitment to them, specifically, their parents and their school teachers. Because I am the principal, my visits to classrooms usually evoke exemplary behavior from students. 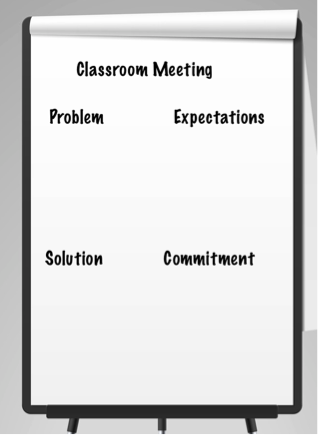 I seldom see infractions of classroom rules, particularly in classrooms in which teachers have established expectations for positive student behavior. When students do act up in my presence, I pay attention. If the environment feels insecure to kids, or if they are fed up with a weak teacher’s lack of leadership in the classroom, they will let me know through fairly ridiculous behavior. They may talk loudly and theatrically to a friend across the room and then glance at me. Their peer may respond, then, in a similar tone. Students’ responses to the teacher’s questions or directions may verge on disrespect. 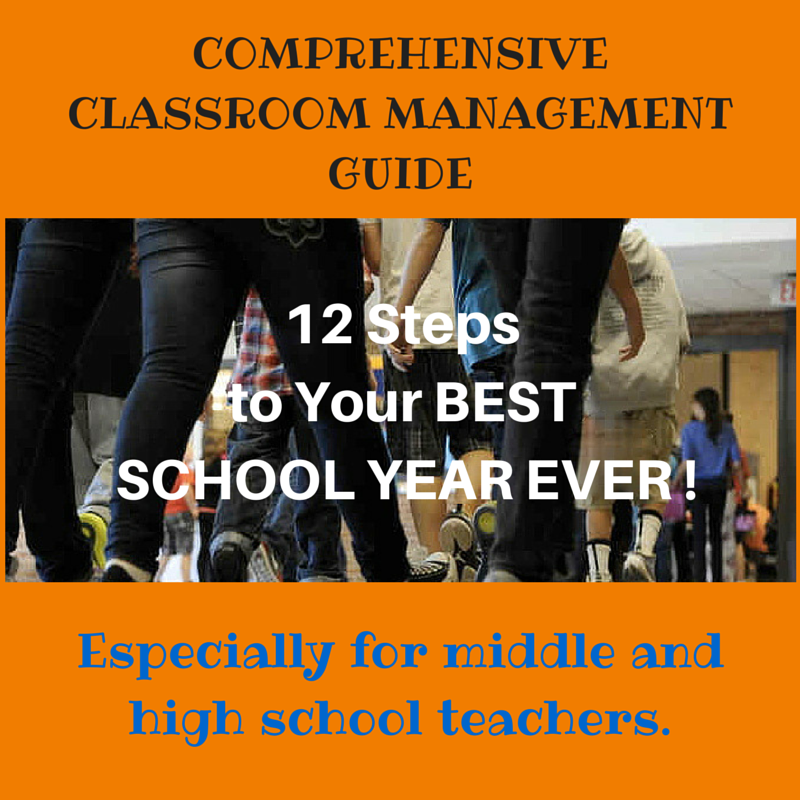 If the teacher does not address their behavior, the students overtly watch for my reaction. They want me to know that their teacher is not managing the class. Why would young people refuse to go to class on time, talk back to adults or, worse, ridicule and intimidate them, spending their days in school roaming hallways, challenging one another to fights or arguments, or engaging in dangerous horseplay? This behavior is a blatant and repeated message: the students feel contempt for the adults in the school building. Their behavior fairly shouts that they view the grown-ups as punks. The adults are irrelevant and ineffectual to these students. What school claims to offer them, at least in these students' current experience, is a sham. African-American students, especially males, are three to five times more likely to experience school suspensions and incarceration as their non-black peers. As young black males grow into their teens, they cannot miss the devaluing messages of our society. Nearly every one of them experiences racial profiling in some form. They are constantly barraged by news stories in which non-blacks, and particularly authority figures, appear to get away with incarcerating or murdering black youngsters, with little provocation. We learn, in working with rage-filled kids, that anger is a secondary emotion, masking shame or fear. When teachers cannot help young people facing issues of self-worth, fear of nihilism, fear for their futures, and fear for their families, and when adults fail even to acknowledge these interior struggles, is it any wonder the youngsters have little patience with the authority figures in their lives? Many teachers in high-needs, urban schools choose to work there, accept their students as they are, seek to understand their struggles, and embrace and celebrate their cultures. 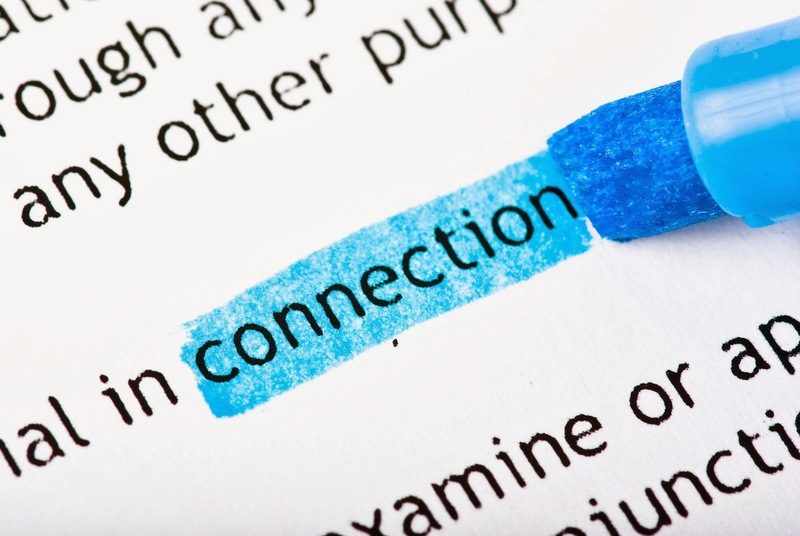 They are highly motivated to foster the connections that will best serve their students, demanding the best from them from the stance of caring relationships. I am privileged to work with many teachers like this. It takes a great deal of insight, empathy, and realism to be a teacher of any consequence (whether black, white, or other) to teens in high-needs neighborhoods facing the threat, or the reality, of homelessness, addiction, hunger, cold, incarceration, or violence. Not all teachers (or principals) in inner-city schools have the messages and leadership that young people in these conditions need or will respond to. While a building-wide discipline system cannot turn ill-equipped teachers and principals into dynamic role models for inner-city kids, it can send the message that students are worth our holding high expectations for, worth our holding out hope for, even in this treacherous society. Adult behaviors carry messages, too. The least a school can do is provide the structure that says, "You are worth our time and attention, our patience and understanding. You are worth being disciplined - reasonably, with compassion and coaching - because we expect something of you, because we care about you." 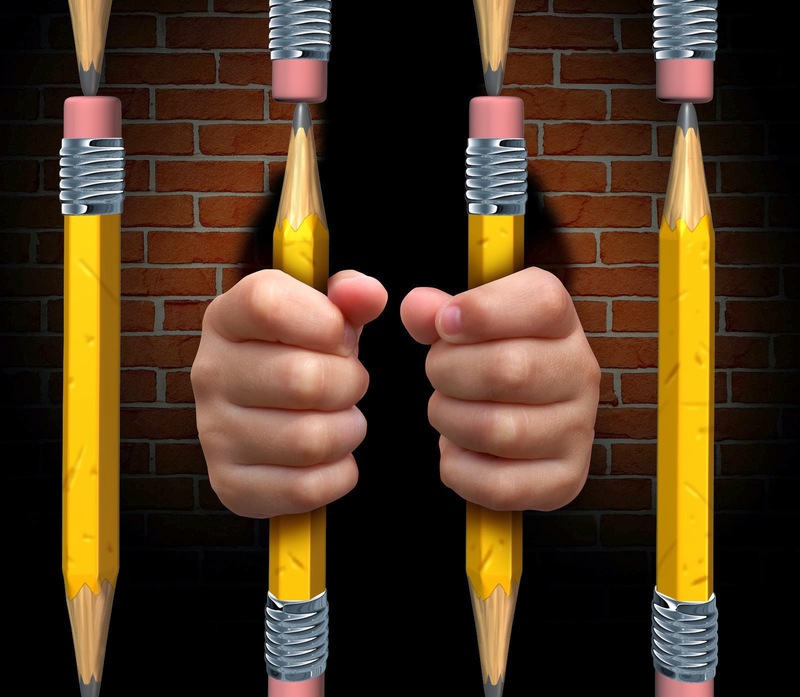 The school to prison pipeline is a well-documented social malady. A combination of school policies and practices results in increased numbers of suspensions and expulsions, especially in schools with students from poverty and families of color. Students who are suspended, or who drop out of school, are 20 times more likely to be imprisoned during their late teens and early twenties. School leaders are under fire for adopting “No Tolerance” policies that result in over-disciplining students for mild infractions. 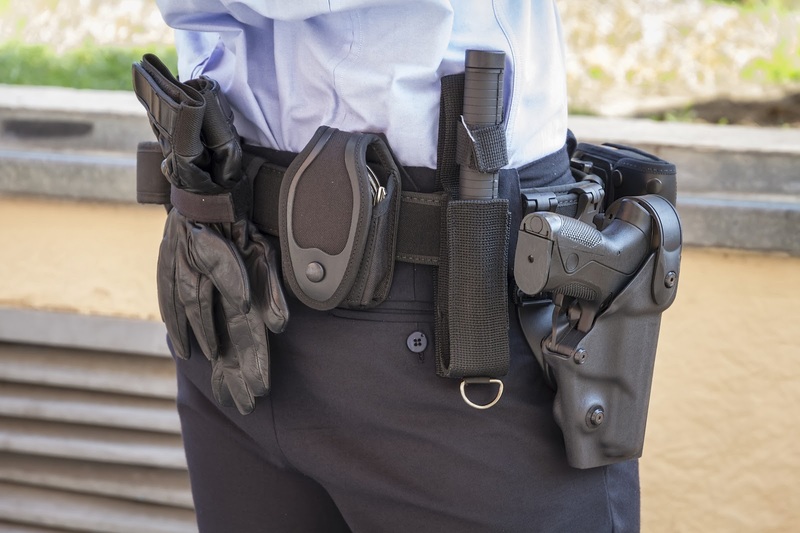 Employing policemen to manage school hallways is counterproductive to a positive school environment and likely comes about because school personnel are unable to control the student body. Lack of adult control stems from a lack of strong leadership in the school, specifically in the area of student discipline. When I read the stories about teachers who call the hallway police to handle disrespectful and defiant students, resulting in arrests for behaviors the school should handle, I know those extreme responses result from either very bad judgment by vengeful or fed-up adults or, more likely, from teachers’ hopeless desperation to manage challenging and defiant students. When teachers don’t get the support they need to hold students accountable to attend class, to refrain from hurting one another or from disrupting lessons, and to cooperate with adult authority, they are left to find any means they can to manage their classrooms. Even though over-disciplining students contributes to the school-to-prison pipeline, the answer is not to do away with school discipline. The answer is to provide appropriate and effective discipline that marginalizes bullies and student power brokers and that ensures security to the majority of the student population and the teachers. 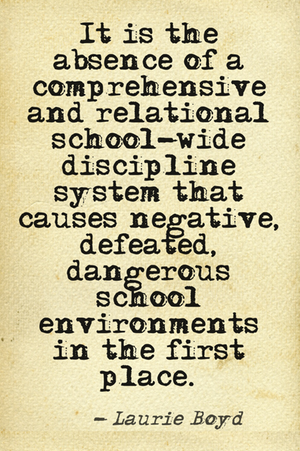 It is the absence of a comprehensive and relational school-wide discipline system that causes the negative, defeated, dangerous school environment in the first place. The grown-ups in the building fail to establish order and to communicate high expectations for behavior. Perhaps the building leader is not equipped to fight the fight to turn the climate around. Perhaps he or she believes that district officials will not support the initial strong tactics it often takes to establish who is in charge. The relatively few school leaders who do know how to embed an effective school-wide discipline system may have to struggle with teachers who are so embattled that they barely believe a change is possible. In order to get such a school environment in working order, the principal and teaching staff must describe the specific climate they want and determine to fight until they get it. Initially, large numbers of suspensions or expulsions (based on suspend-able offenses, of course) may be necessary to establish enough order for school personnel to control the environment. No matter how much we want to keep all students in school, we cannot allow youngsters to engage in gang violence and gang recruitment, in selling or promoting drugs and alcohol, or in terrorizing their peers and teachers, without serious consequences. If students are this far gone, we cannot allow them to run the school. School leaders must make a strong showing by “cleaning house” through suspension or expulsion, depending on the severity of the offenses. An effective school-wide discipline system clarifies expectations for behavior, communicates predictable school-based consequences, and supports teachers’ implementation of discipline. It can be done. To interpret the cause of the school-to-prison pipeline to be any discipline, and any suspension, is to throw the baby out with the bath water. 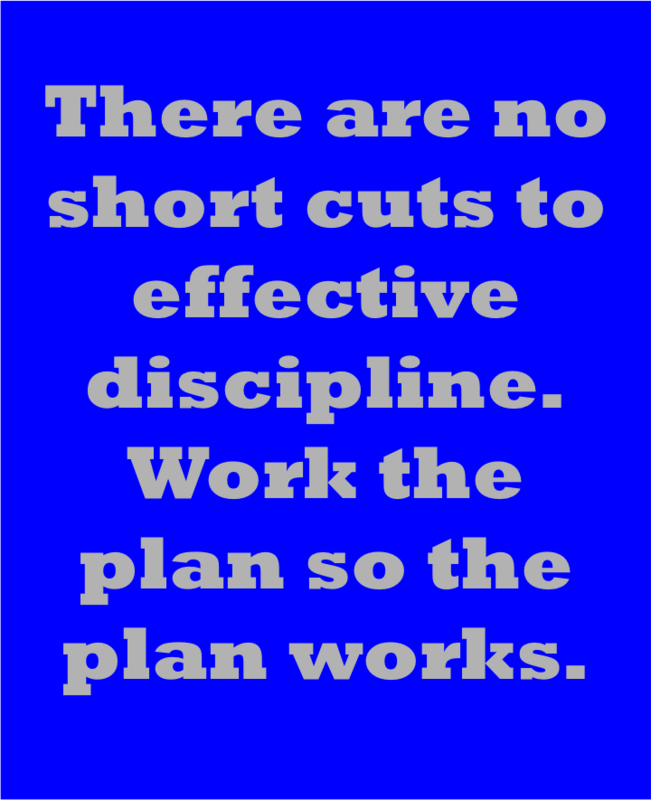 To continue to over-discipline, even out of desperation, instead of implementing a simple system of discipline, is like using a shotgun to kill a mosquito.